In 2019, we will be “Paving the Way” to our exciting future! With a new SMDRA building on the horizon, this year’s journey will be paved with lots of exciting new opportunities to become involved in SMDRA’s future. Listed below are our 2019 Corporate Sponsors; take some time to get to know them and learn more about the fantastic services they provide to our members, to help their businesses grow and thrive! Follow their links to find them online and on social media. 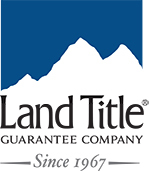 Land Title Guarantee Company was founded in Denver in 1967. They are the largest locally owned title agency in Colorado, and 100% of their work is done locally – meaning a quicker response time for REALTORS® and their clients. With 50,000 successful closings each year, they offer big company stability with a small firm’s personal service. Since 1984, REcolorado has been focused on providing the most accurate and up-to-date real estate information for professionals and consumers. Updated continuously with new and sold listings and powered by the state’s largest network of real estate professionals, REcolorado.com is Colorado’s most accurate home search website. REcolorado.com also offers consumers mortgage resources, information about Colorado neighborhoods and cities, sold listings, open houses, and a comprehensive database of real estate professionals. REcolorado is the largest Multiple Listing Service (MLS) in Colorado with more than 23,000 professional subscribers who operate throughout the state. It is REALTOR® owned and serves Aurora Association of REALTORS®, Denver Metro Association of REALTORS®, Mountain Metro Association of REALTORS®, REALTORS® of Central Colorado, South Metro Denver REALTOR® Association, and Steamboat Springs Board of REALTORS®. Contact a REALTOR for accurate information about your property and neighborhood. Wells Fargo Home Lending is the nation’s leading combined home lender and servicer, funding one of every nine loans and servicing one of every seven loans in the country. Wells Fargo Home Lending’s vision is to help customers succeed financially through sustainable homeownership, and to be known as America’s favorite home lender and servicer – the #1 mortgage provider recommended by customers and clients. Eave is a modern mortgage lender offering simple, transparent home loans to luxury buyers. We’ve created our own financial technology that transforms the typical mortgage process from a frustrating consumer experience into a private client service. We fully underwrite clients up front, within a day, and help them craft cash-like offers. Even better? Our rates are competitive, we don’t charge lender fees, and we have industry-defying closing times. We guarantee a buyer’s earnest money up to $100K if the transaction fails as a result of lender error and the seller is unable or unwilling to refund. And we do it all while offering concierge loan officer support 24/7. At Eave, we recognize that finances are not one-size-fits-all, and lending shouldn’t be either. We’ll help you provide your clients in the luxury market with the luxury home financing experience they deserve. Eave also has a social mission – when you buy a home with Eave we donate money to a mother in India so she can build a home for her family. For over 150 years, Fidelity National Title’s principal mission has been to protect the dreams of its insured with unmatched strength. Time-tested strength secured by the financial backing of Fidelity National Financial (NYSE:FNF) and safeguarded by the underwriting of Fidelity National Title Insurance Company (FNTIC). Today, Fidelity National Title is leading the industry in technology for Realtors®, Lenders and consumers and is the preeminent provider of Nationwide Title and Settlement Services including but not limited to: 1031 Exchanges, Commercial and Residential Real Estate Title and Escrow, For Sale by Owner, Foreclosures, and Refinances. Headquartered in Denver, Fidelity National Title Colorado has been proudly serving the Colorado market for over 70 years. At Stewart, we believe in building strong relationships – and these partnerships are the cornerstone of every closing, every transaction and every deal. Our loyal associates work hard to enable and protect real estate ownership for our residential and commercial customers – and we have been doing so for nearly 125 years. No matter which Stewart office you visit, you’ll be greeted by a friendly face, ready to answer questions and help you with your needs. At Stewart, we pride ourselves in providing exceptional customer service and will go above and beyond to make sure you have the best experience. Trusted Colorado Movers – It can be hard to pack up every single belonging and trust moving companies to get your things to your new home. We understand this concern, which is why we’re happy to go over every part of moving with you, so you know where we will be at all times. Well before the date of your move, our professional team will work out all the small details with you, so that you have nothing to worry about when moving day arrives. If you need to find a professional and experienced team of Fort Collins, Colorado movers, Exodus is the moving company to call. Cost-effective moves that are simple and hassle-free are what we do. Sit back and leave the heavy lifting to us! Call us today at 1-800-549-1488 and let us help you make your move. Questions? Just give us a call, we’ll be happy to set up a time for a completely free estimate with a Certified Moving Consultant! Golden Dog Title & Trust began as Dream Finders Title in 2014 and has become an elite professional title insurance agency serving Colorado from offices in Littleton and Longmont as well as North and Central Florida. Since its launch, the company has closed residential and commercial real estate transactions, writing over $250M in title insurance. 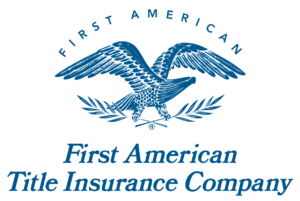 Golden Dog Title & Trust is an agent to Fidelity National Title Group and Alliant National Title, premier national underwriting companies in the industry. The company was established by Tom Ralabate, a Florida licensed attorney who has practiced residential and commercial real estate for over 15 years. The Colorado operations were started and overseen by Tom Waddle, Vice President for Colorado Operations, a Colorado licensed attorney who has been in the title and escrow business in Colorado for over 15 years. The Golden Dog Title & Trust team in Colorado provides over 40 years of combined experience and expertise. Whether it is residential or commercial, real estate or loan transactions, or any combination thereof, Golden Dog Title and Trust is your reliable companion – here to serve you! Heritage Title Company began serving the real estate industry in Colorado over 40 years ago. They are a premier provider of Real Estate transaction services for both the Residential and Commercial markets. Their services include such things as: title insurance, settlement, foreclosure guarantees, oil and gas records, construction loan disbursement, ownership and encumbrance reports, as well as the coordination of closing services for any commercial or residential property in the United States. SentriLock is the leading electronic lockbox manufacturer and service provider in the real estate industry. Owned by the National Association of REALTORS®, SentriLock is an innovation company that offers the most secure, durable, and versatile product in the industry. With a feature-rich smart phone app, chip-and-PIN smart card, and coded keypad, SentriLock offers three ways to get you into properties. U.S. Bancorp, with 74,000 employees and $460 billion in assets as of March 31, 2018, is the parent company of U.S. Bank, the fifth-largest commercial bank in the United States. The Minneapolis-based bank blends its branch and ATM network with mobile and online tools that allow customers to bank how, when and where they prefer. U.S. Bank is committed to serving its millions of retail, business, wealth management, payment, commercial and corporate, and investment services customers across the country and around the world as a trusted financial partner, a commitment recognized by the Ethisphere Institute naming the bank a 2018 World’s Most Ethical Company. JetClosing is a mobile-first title and escrow company taking the process of closing a home into the 21st Century. Our mission is to leverage technology to create a fast, friendly, and more transparent real estate closing experience. Our technology systems and platforms deliver greater efficiency and transparency that provide you and our in-field relationship managers with the tools you need to make a great closing experience. North American Title Company is among the largest real estate settlement service providers in the United States, offering its customers a unique blend of personal and dependable service, combined with the unsurpassed financial strength and stability of its S&P 500 parent company. Consisting of both agent and underwriter operations, we assist lenders, real estate agents, builders and commercial investors with every type of real estate transaction through our army of skilled underwriters, seasoned attorneys, and highly-trained closers and escrow providers coast to coast. For an overview of our products and services, we invite you to navigate our website. For information specific to your geographic location, please use our office locator to visit your local branch’s site. North West Roofing is a full-service roofing company, specializing in roof repair and roof replacement services for commercial and residential properties throughout Colorado. We have become the go-to roofing contractor that homeowners and commercial property owners trust to provide the highest level of quality, service and value. Our conscientious contractor have the extensive training and experience to handle any roofing job, from annual inspections and maintenance, to hail damage repair and leak repair. To roof replacements and new roof installations. We maintain an A+ rating with the Better Business Bureau and we are the only roofing contractors in Colorado who are certified by a wide array of nationally known roofing manufacturers. Our commitment to quality and customer satisfaction is what sets us apart from the competition. The WFG family of companies is one of the fastest-growing title companies in the nation. Our growth has been a direct reflection of caring about what is important to our clients! For more than 38 years, 2-10 Home Buyers Warranty has been a market leader in helping homeowners protect one of life’s biggest investments. Whether you are in search of new construction structural warranties or systems and appliances coverage for new and existing homes, 2-10 HBW has the most comprehensive warranty programs available. Founded and based in Denver, Colorado, 2-10 HBW has covered over 5.8 million homes with their complete line of warranties, service contracts and risk management products. 2-10 HBW continues to partner with thousands of the nation’s finest real estate professionals, home builders and service contractors. For more information about 2-10 Home Buyers Warranty, please visit 2-10.com. Aurora is Colorado’s third largest city – and the safest large city in Colorado – with more than 360,000 residents. Spanning three counties in the eastern Denver-Aurora Metropolitan Area, Aurora offers options for every lifestyle, from convenient urban living to master-planned communities. 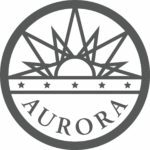 For those considering a move to Aurora, be in the know about all of our must-have resources at ThisIsAurora.org, and you can subscribe to our city newsletter at Auroragov.org/Newsletters. For general city info, visit AuroraGov.org. 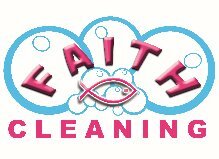 Faith Cleaning is a residential and commercial cleaning company that specializes in customer satisfaction. Their mission is to become the premiere provider of building maintenance services in Colorado. They offer daily, weekly, bi-weekly, monthly, one time, or move in/move out cleanings. First Colony Mortgage has been a trusted Utah lender since 1984. We are consistently the top volume lender in both Utah and Washington counties. We have helped over 50,000 residents realize their dream of owning a home. Our Mission is to pursue growth through building lasting relationships with Developers, Builders, Realtors and Buyers. This is accomplished by providing a complete range of mortgage products and services while maintaining our prime objective of integrity and prompt, quality service. As a mortgage banker, First Colony Mortgage Corporation offers many advantages over other lenders. We not only process mortgages, we also underwrite, fund and close mortgage loans all in one of our conveniently located branches. Our loan officers are professionals. They work directly with builders to facilitate the homebuyer sales process, and increase revenue. They also provide buyers with expert advice about the mortgage process and complete the approval and closing process in an expedited manner to keep the funding on time and the buyer and builder happy. Unified Title Company is an established and reliable title insurance company that has been locally owned and operated since 1992. We pride ourselves on our company motto: Excellence in Work, Integrity in Everything. With our experienced staff and commitment to customer service, you can trust that the closing of your property is in great hands. We have several fully staffed offices in Colorado Springs, Woodland Park, Cañon City, Denver, Greeley, Fort Collins, and Johnstown so you, the customer, can choose a closing location that is convenient for you. Local Colorado Ownership – Local decision-making ensures a smooth and timely process for your closing. Unified’s progressive “think-outside-the-box” attitude empowers its team of problem-solving professionals to best assist the client. We also have a strong commitment to our community and local business. We believe in supporting our local economy by employing dedicated individuals from our area, rather than farming the work out overseas.